AltRider Wants you to come join them in Pennsylvania for Conserve the Ride 2017. This Fourth of July weekend, only hours from where the Declaration of Independence was signed, AltRider is inviting riders to join Conserve the Ride 2017 and experience some of the best adventure riding the East Coast has to offer. With an all-new location in Palmerton, Pennsylvania, at the Blue Mountain Resort, this three-day getaway will offer routes for riders of every skill level amid gorgeous greenery. From winding dirt trails in rolling hills and paths shaded by lush forests, Conserve the Ride will take riders on an adventure that embraces the beauty that can only be experienced on two wheels. Partnering with Seven Mountain Conservation Corp., riders will hit the dirt knowing they are supporting the non-profit’s mission of “minimizing the environmental impact on, and the preservation of, Central Pennsylvania’s trails.” Five square meals, two nights of camping at the scenic Blue Mountain Resort, presentations by professional ADV riders, prize giveaways and off-road seminars with dozens of riders who share a passion for the unknown will create an unforgettable experience that benefits a cause all riders can get behind. The 6th Annual Conserve the Ride takes place June 30 – July 2. 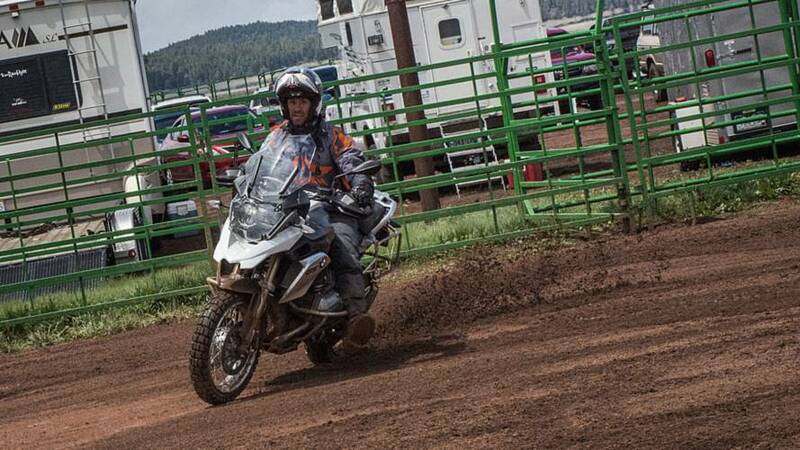 This year’s Conserve the Ride will offer riders one of three unique GPS-guided experiences at either the novice, intermediate or expert level. Groups of 6-8 riders will pair up to tackle over 150 miles of water crossings, mountain passes, forests and wide open meadows in the peak of their summer bloom. After meeting for a catered lunch halfway through Saturday’s journey and riding on through the afternoon, groups will meet back at camp to enjoy dinner, adult beverages and live entertainment, while swapping war stories and getting a chance to meet well-known ADV legends. Riders will also have the opportunity to take an ADV training class on Friday, hosted by the experts at BC Moto Adventures.